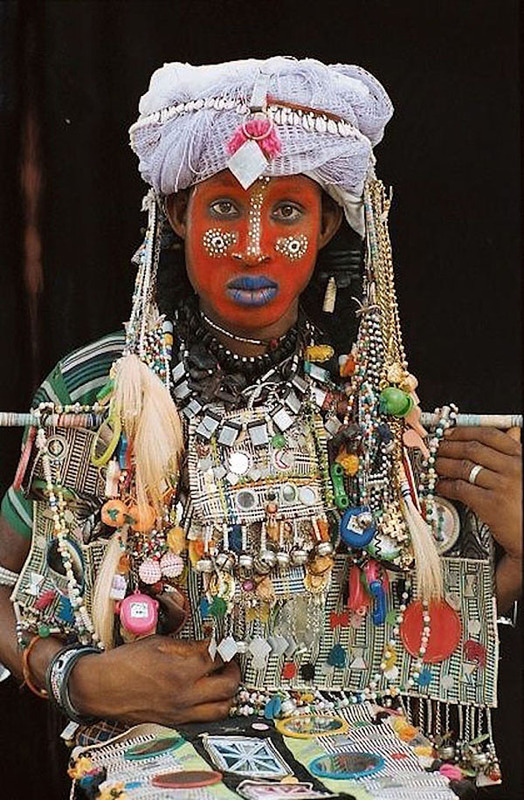 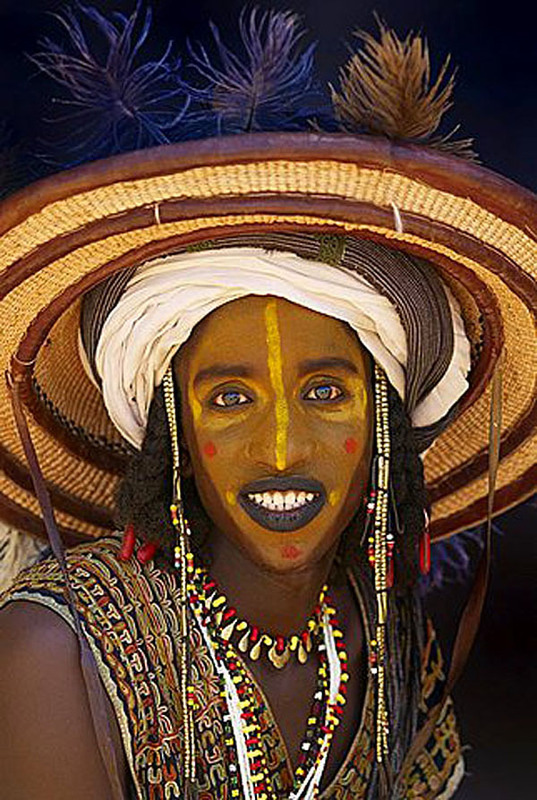 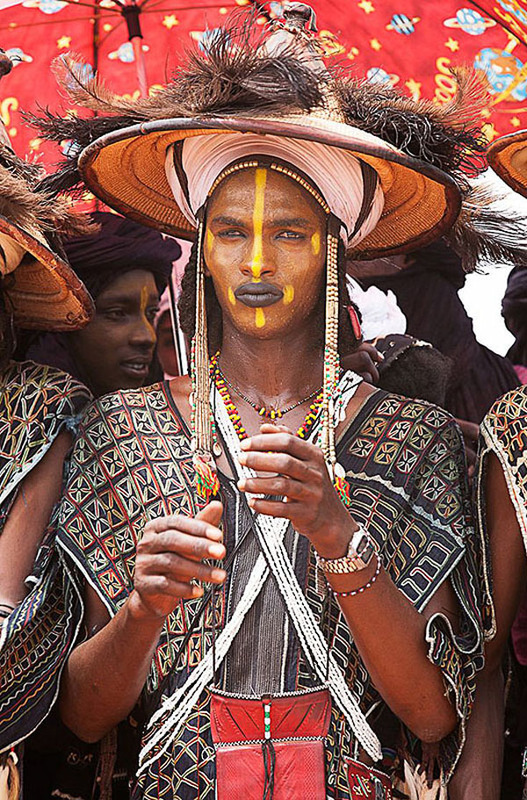 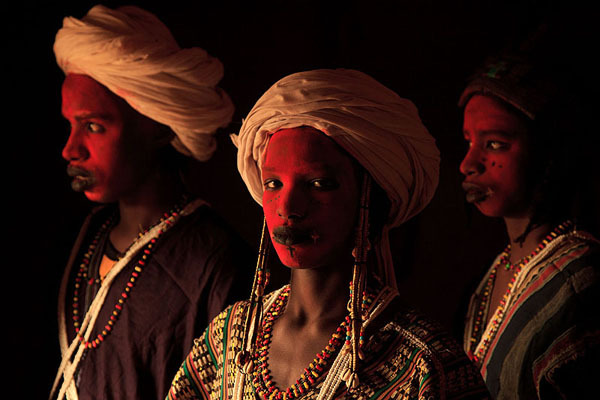 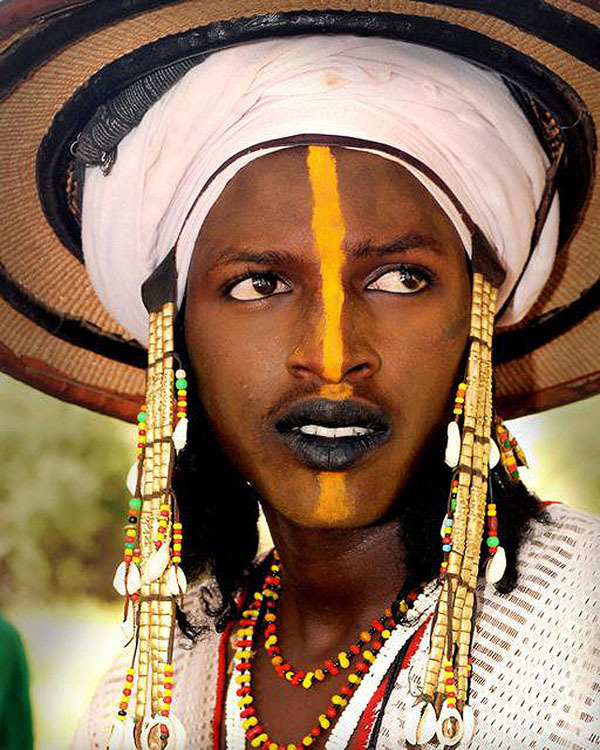 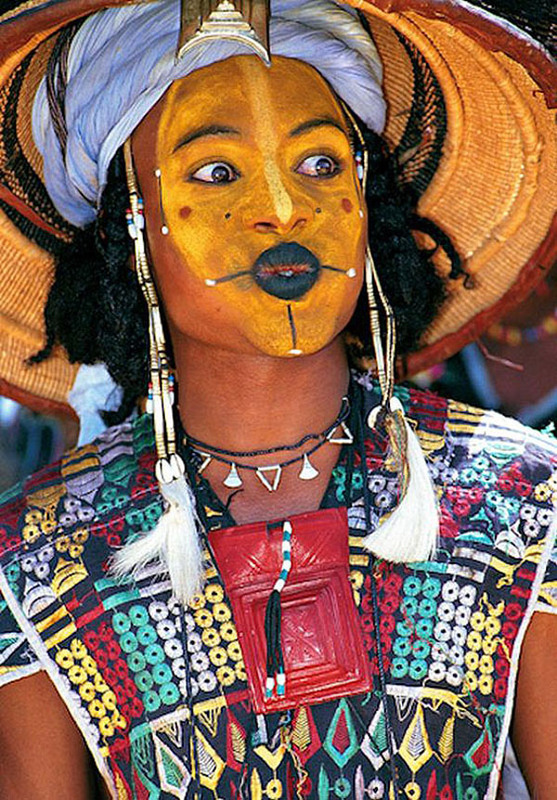 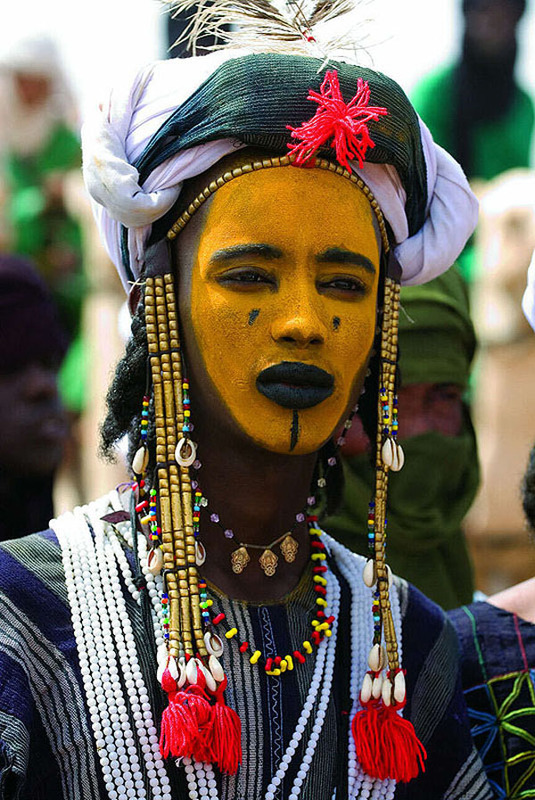 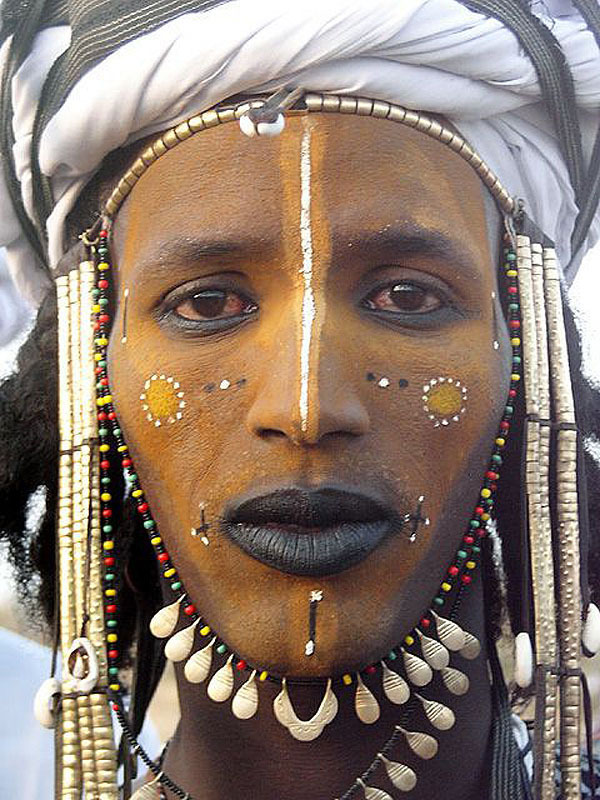 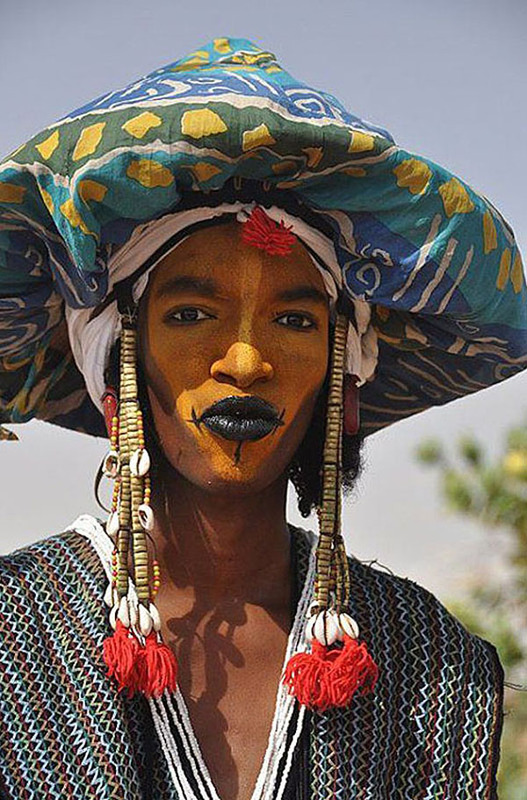 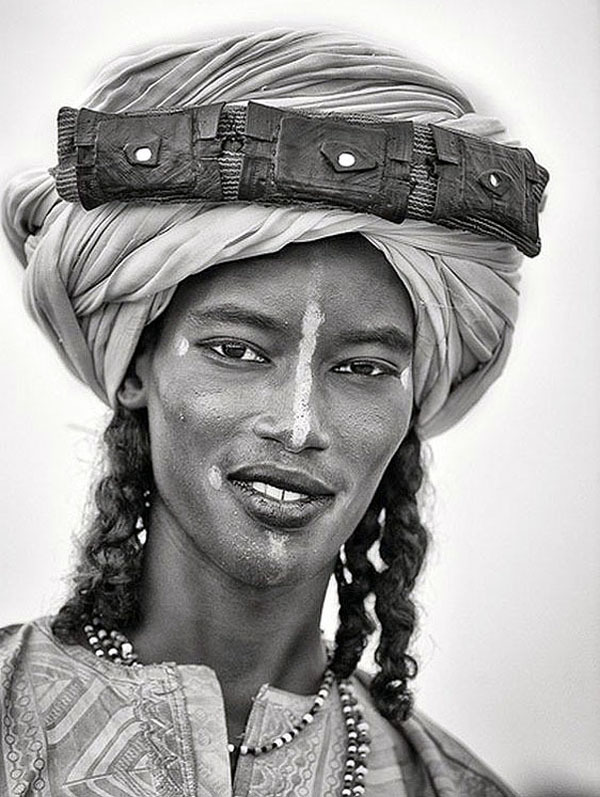 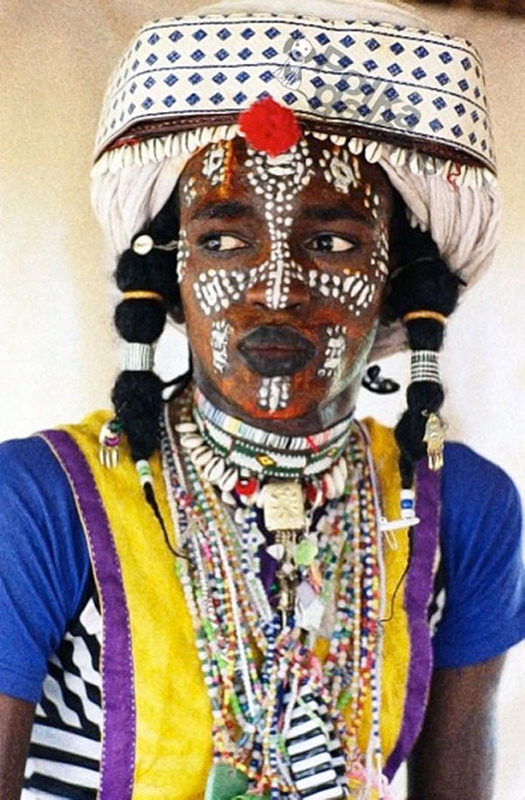 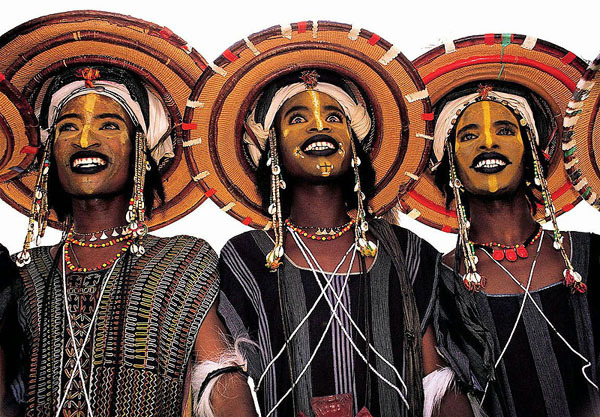 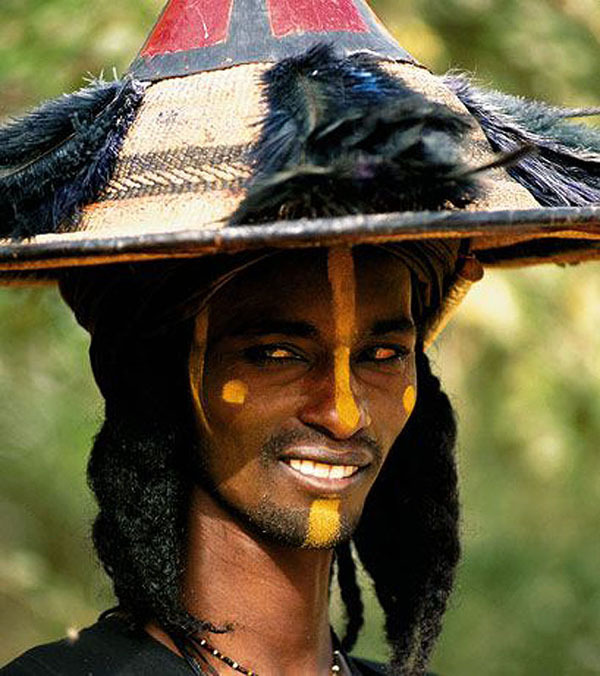 We're obsessed with the Wodaabe of the south Sahara, Africa. 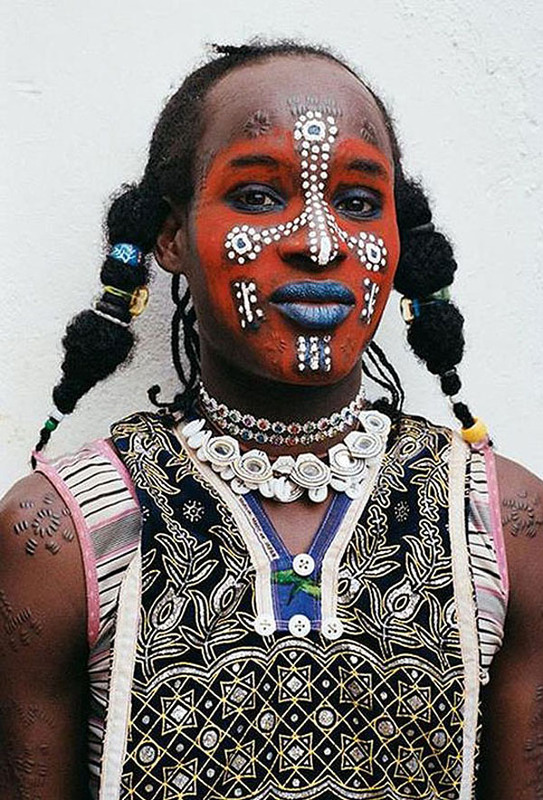 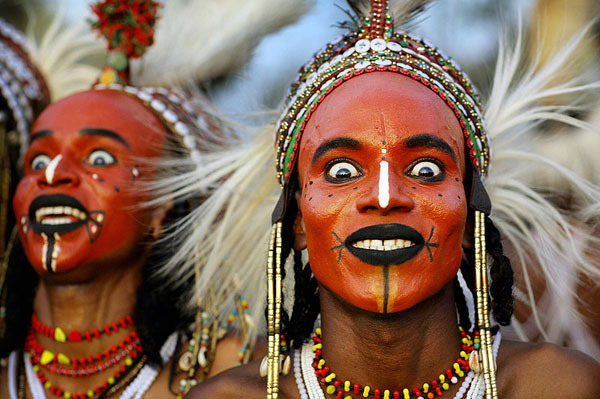 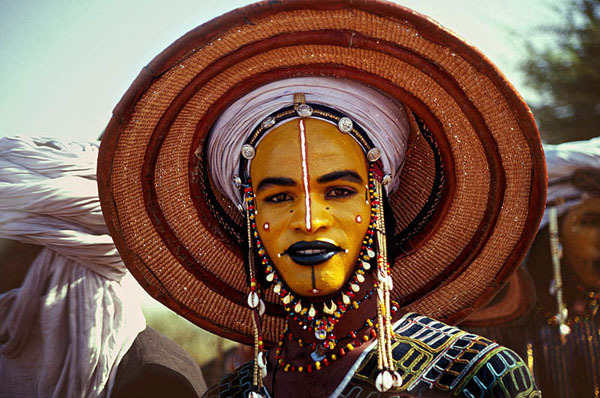 In a courtship ritual each year, before the dry season and the beginning of their cattle migration, the young men paint their face and don their finest to woo the marriageable women of the tribe, who judge from afar. 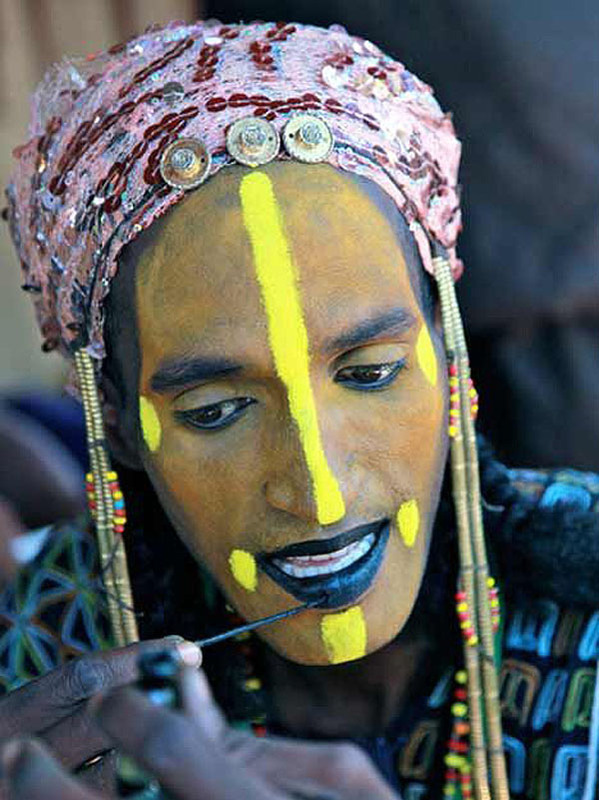 One of the best-known of these festivals is the Cure Salée salt market in In-Gall, Niger. 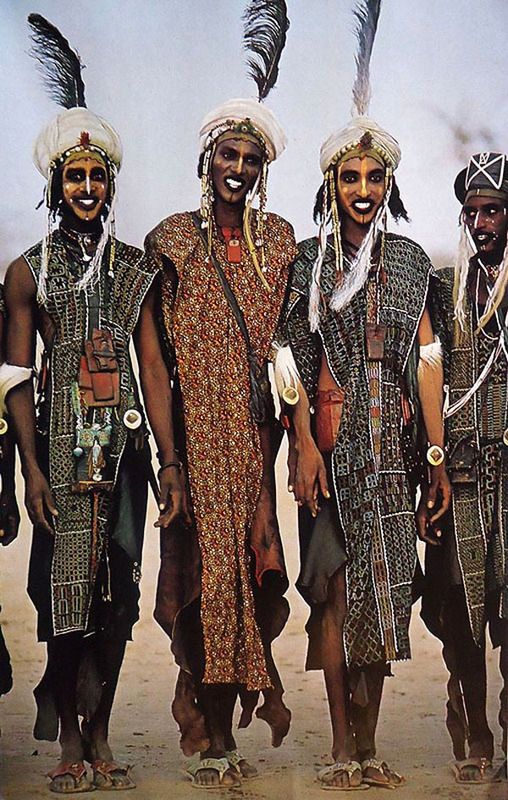 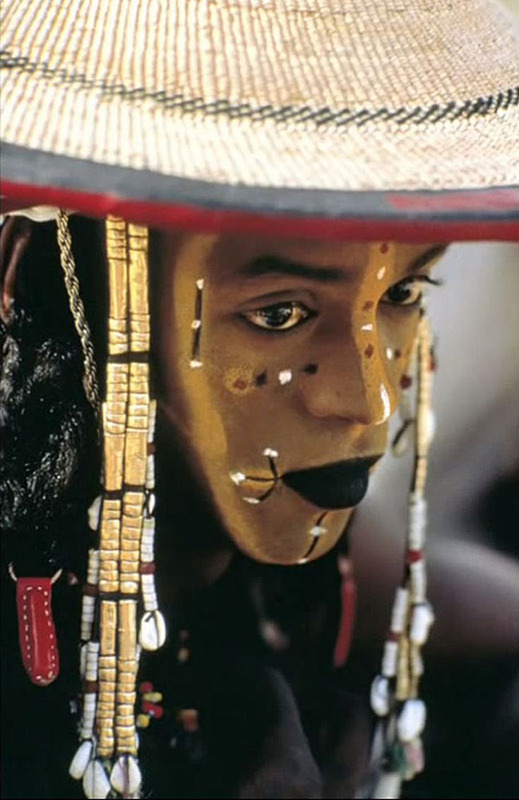 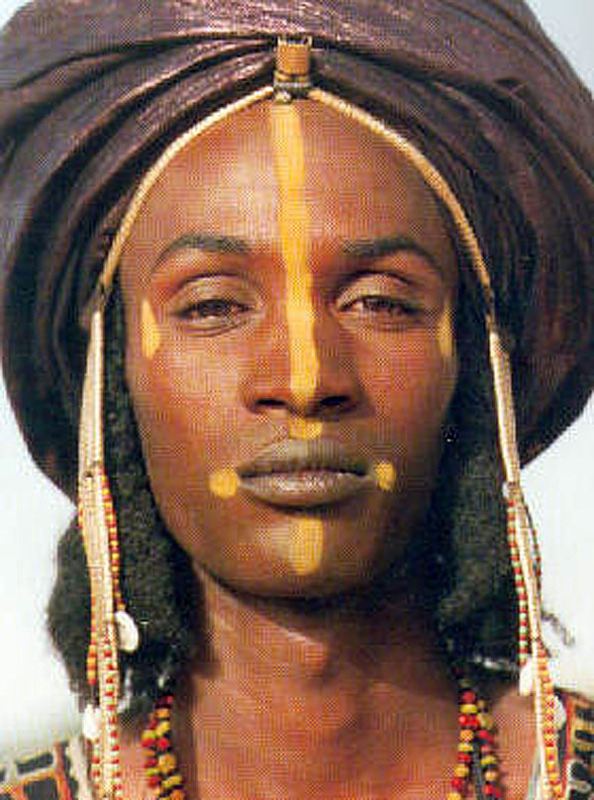 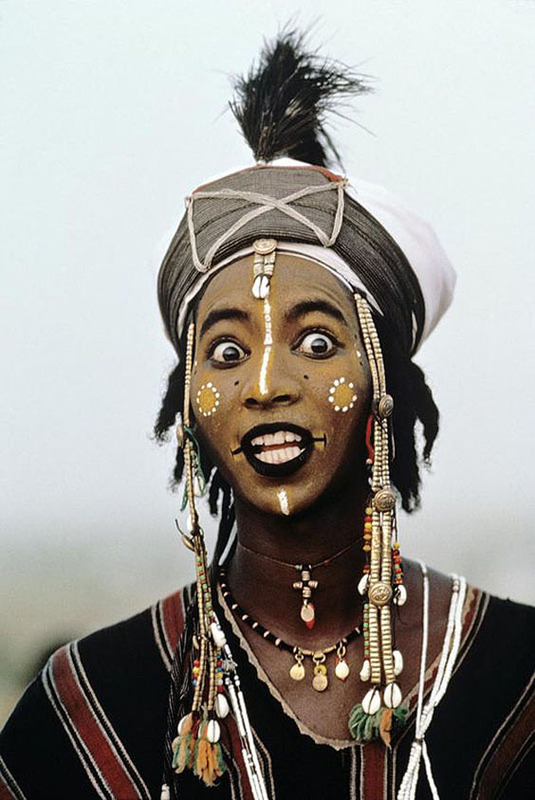 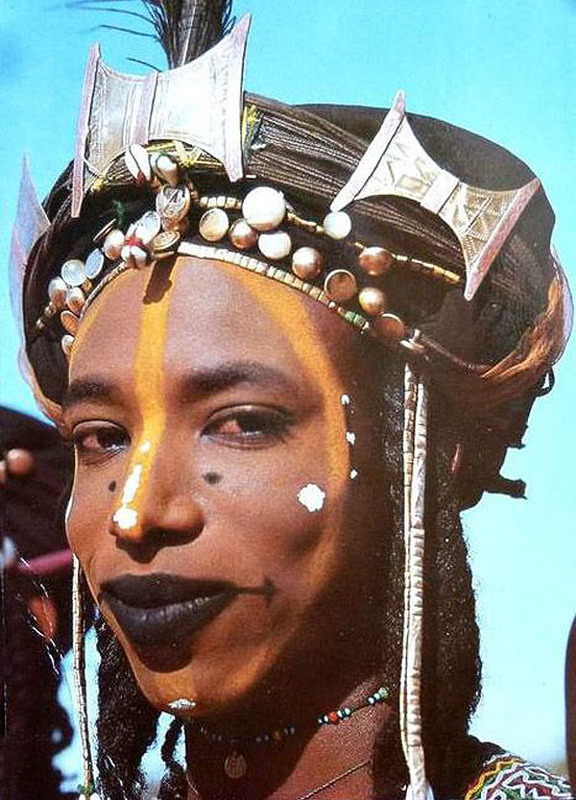 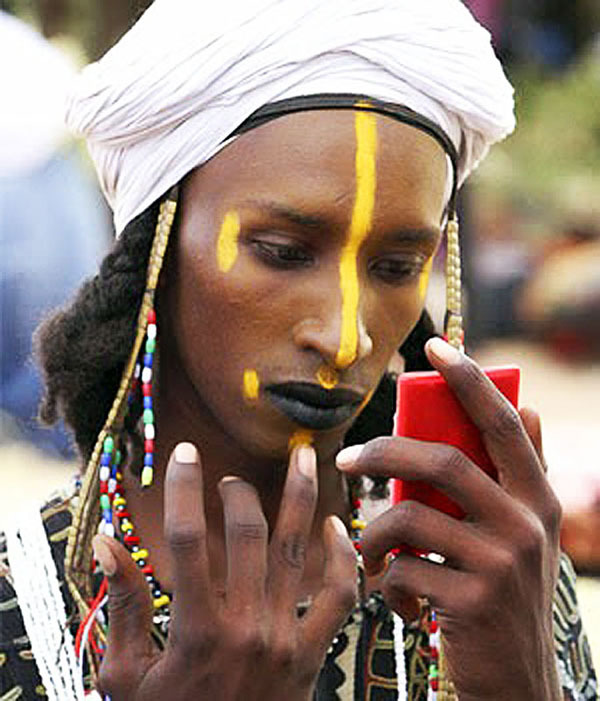 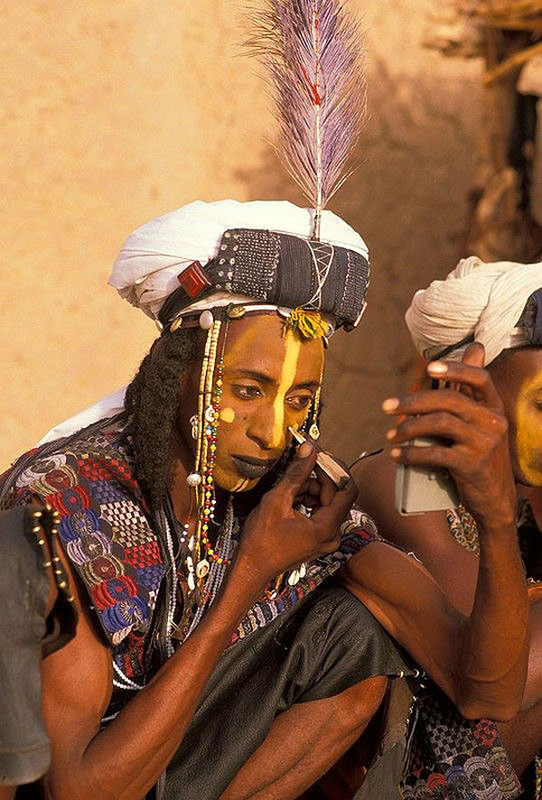 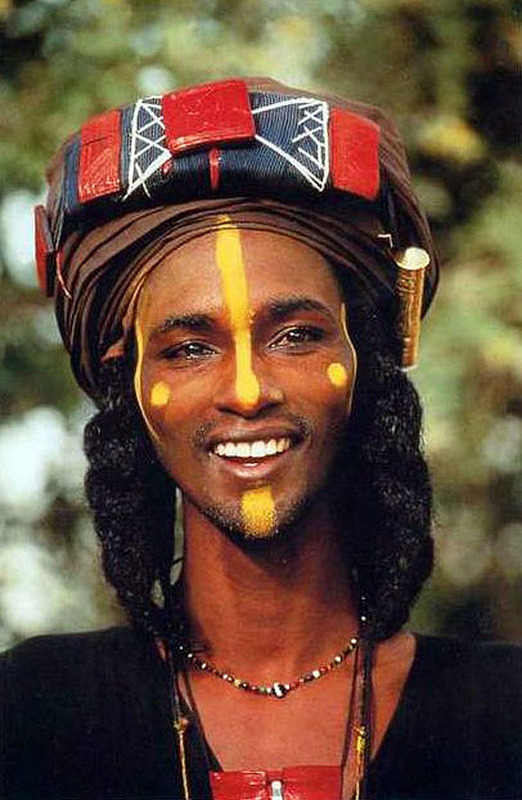 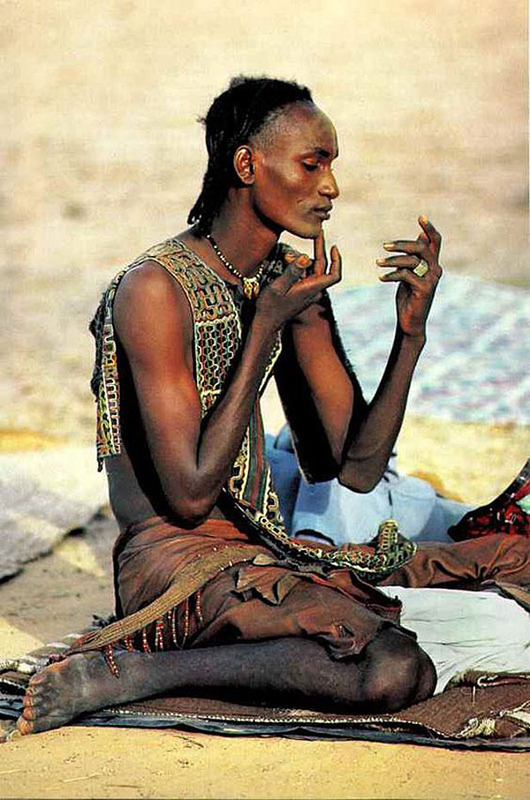 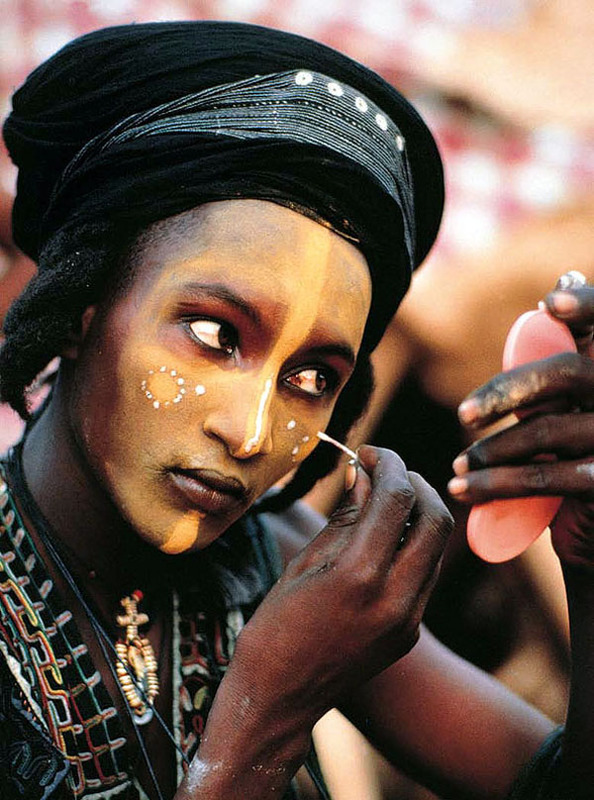 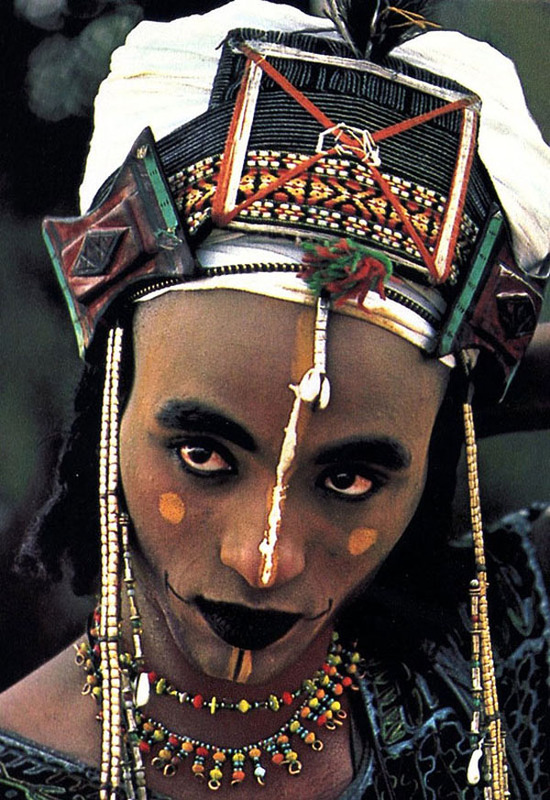 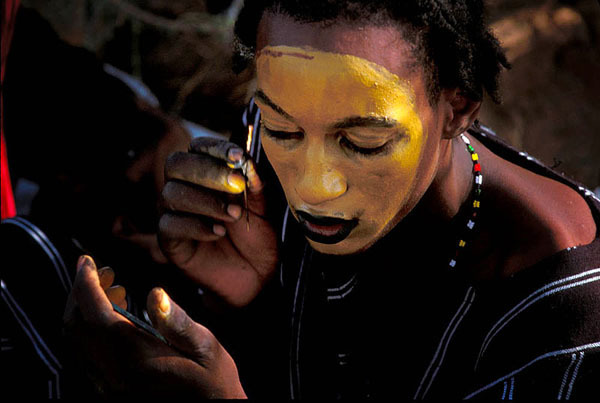 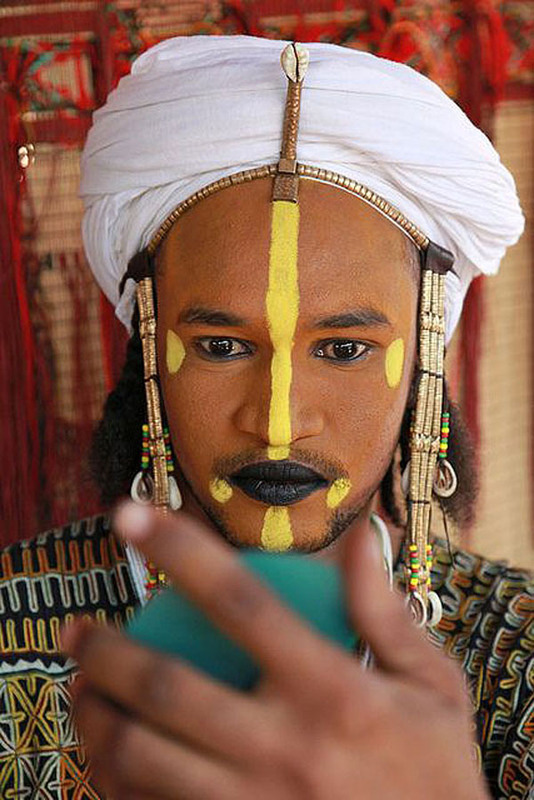 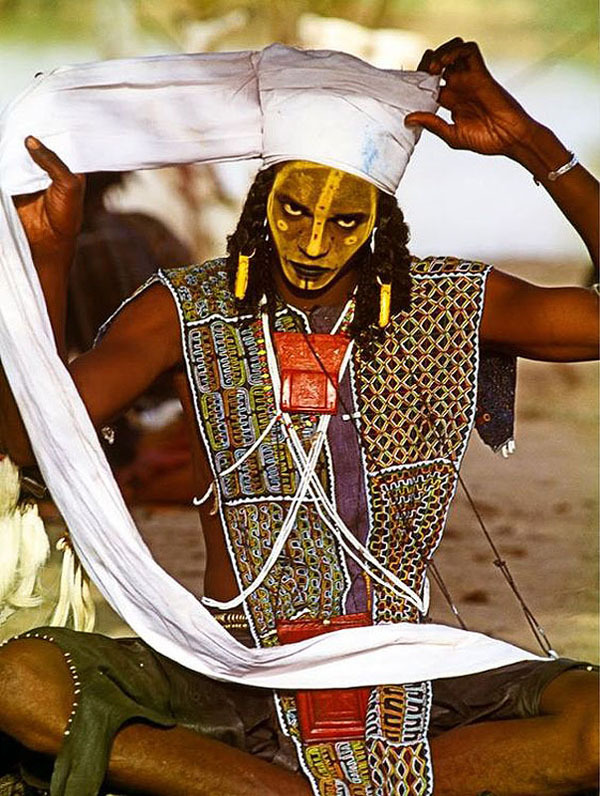 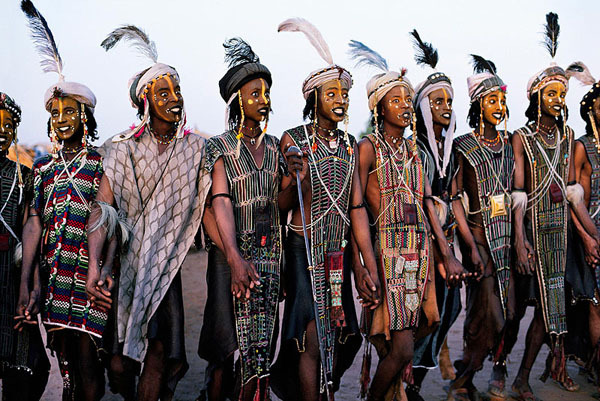 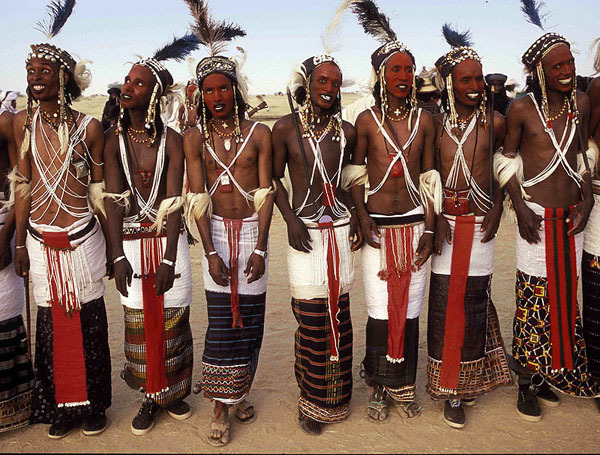 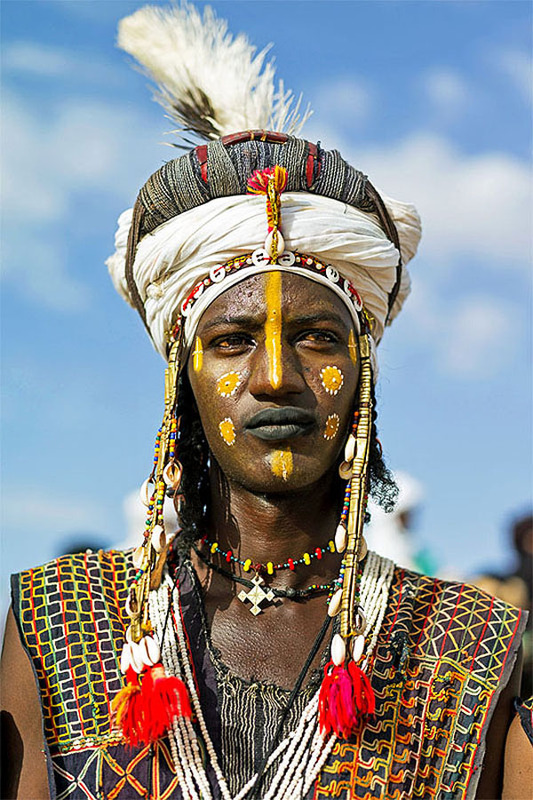 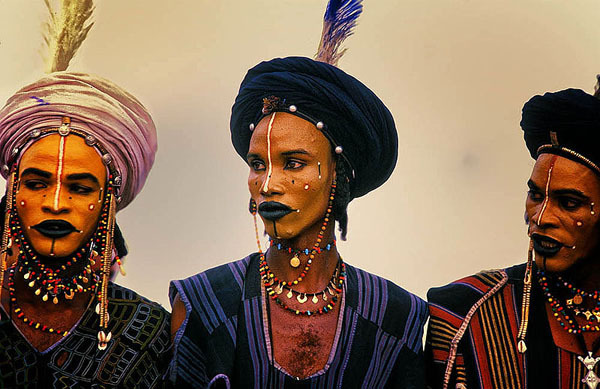 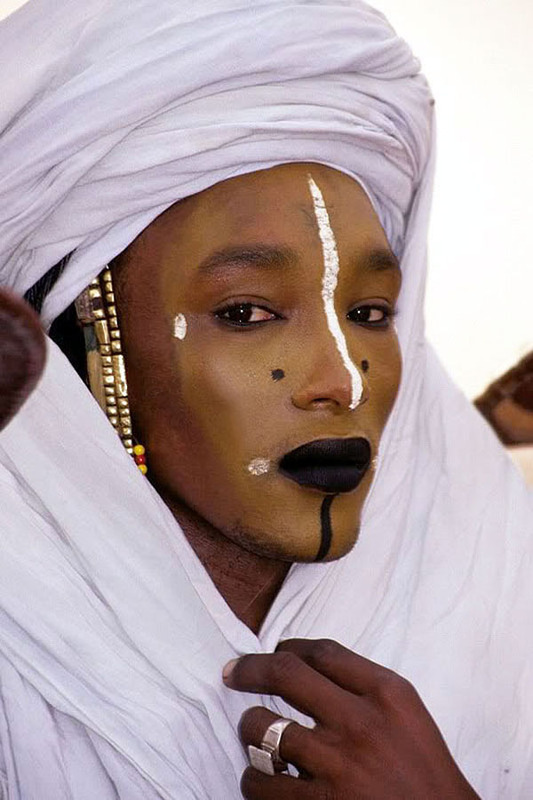 Young Wodaabe men apply elaborate make-up, feathers, and other adornments before performing the Yaake song and dance, whereupon they attempt to impress the women with tallness, white eyes, and white teeth — the male beauty ideals of the Wodaabe. 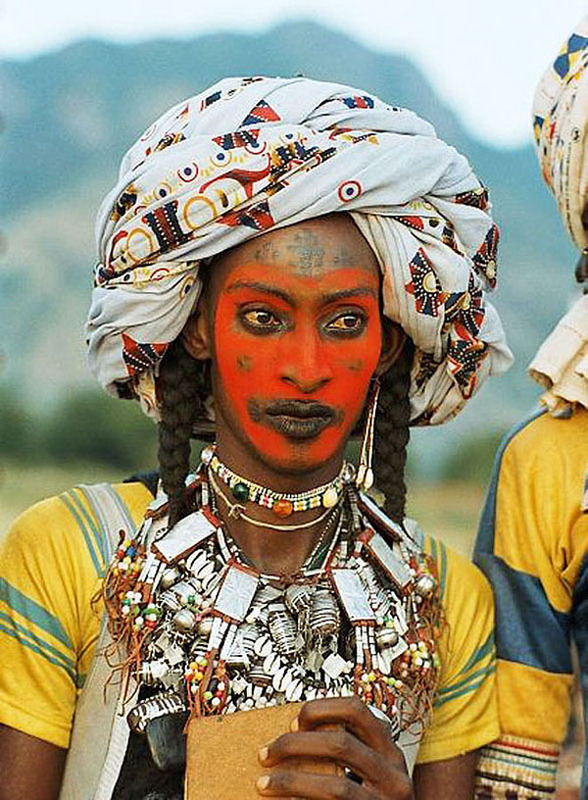 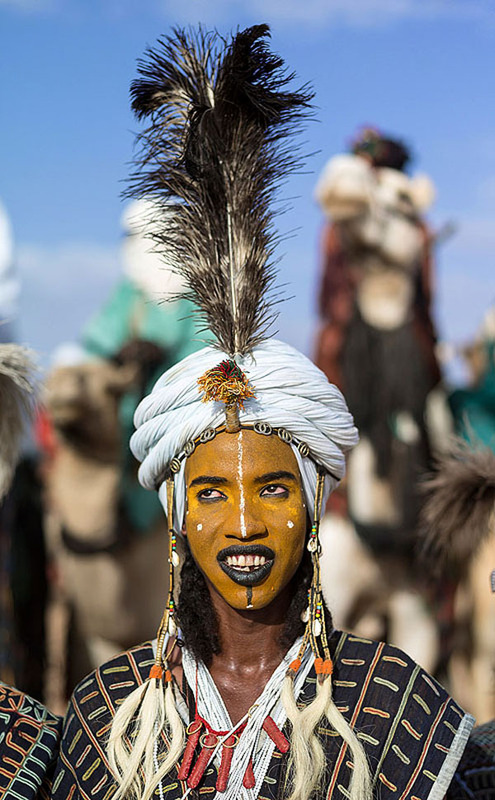 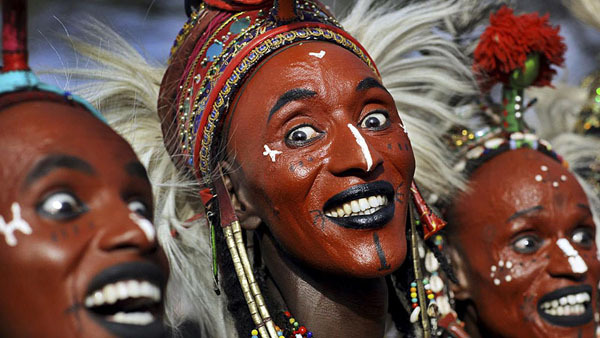 Wodaabe clans then gather for the Gerewol, a weeklong series of barters and contests over marriage, where the young men's beauty and skills are judged by eligible young women.